This is our third time featuring the writing of Ronnie Dauber, a Christian author who lives in Canada. She has written several young adult novels and seven Inspirational books. Click the title below to read at source. There was a time when Christians kept to themselves, followed Jesus and were still able to live in a society with respect. Many would sit on the fence, not sure what to believe because their minds were still partial to the things and ways of this world. However, as the days roll faster towards the return of Christ our King, there is now an obvious difference between those who truly love and follow Jesus, and those who call themselves Christians but are still part of this world. The days of fence sitting are over! Many laws have been changed to make legal things that God calls sin, and it’s mandatory for everyone to accept them, whether they are for them or against them. The new age “Christians” are congenial to the changes, but the real Christians can’t accept them and take a stand against them for Christ’ sake and are ridiculed, persecuted and punished. The issue with the gays and transgenders, and with the right to abortion are no longer ones that we can speak against without being heavily penalized. We are forced to accept this…regardless of our beliefs. These political issues are really spiritual war zones that are dividing the people and using their emotions to do it. God is no longer part of most government equations for most people. We are living in the days before the return of our King, and it’s a time when we either stand up for the truth or deny it. The days of fence sitting are over! Sin is spreading faster now than ever before and it’s almost mind-boggling to see how far into it people are daring to go. The world is filled with anger and deluded with a hate for the things of God. Yet, for the Christians—that is the born-again, Spirit-filled believers in Jesus—it’s a time of redemption and revival because we know that Jesus is about to return. How do we deal with sin? The Bible says that we are to hate sin just as God hates sin. We don’t accept it, ignore it, or pretend that we don’t care. If Jesus is alive in us, we won’t be able to hide it! And we’ll have many chances to speak the truth to those caught up in its deception. We don’t hate the people; they are victims caught in the devil’s clutches and their future is bleak unless we show them the path to Jesus. God wants us to love them and be willing to speak about the joy that’s in our heart. Many people will come against us and speak badly about us and even break life-long friendships with us because we won’t accept the sinful things of this world. This persecution is growing and it hurts when loved ones turn on us. But it’s not us that they hate; it’s Jesus. This is when we must leave our emotions out of it and not take offense. Jesus told us to preach the gospel to the world. He didn’t tell us to judge, condemn or hate the people. He told us to live peaceably with all men. When we stand for truth, we will be noticed! So, we need to build up our relationship with Jesus by spending time with Him and by studying the Scriptures to know His truth. His Holy Spirit in us will lead us and give us the words to speak out at the right time so that we can speak against sin and tell others about the salvation of Jesus. If we love Jesus and are living for Him, it will be impossible to hide who we are in this sinful world. We won’t be able to sit on the fence because the truth in our heart will blatantly reveal the sin in this world. And this is good because the people around us will see our light shine a whole lot better when we get off the fence and let it shine for Jesus! God’s People Suffer; Worldly People Prosper; Is That Fair? 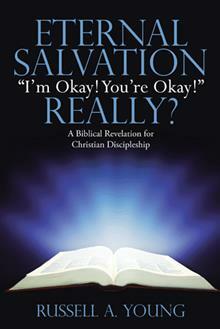 Once again we’re back with pastor, author and Bible translator Christopher R. Smith at the blog Good Question. (You can get lost in some of these discussion questions; I strongly recommend a visit!) Click the title below to read this one at its source. Why does God allow his people to suffer while worldly people prosper? Q. Why does God allow his people to suffer while worldly people prosper? The psalmist eventually gets an answer to this difficulty, and I’ll discuss it in a moment. But first I’d like to observe that the perception that God’s people suffer while worldly people prosper actually represents a snapshot from a particular moment in life. If we think back over our whole lives, and if we look at the people all around us, we realize that God’s people actually go through seasons of prosperity and seasons of suffering over the course of their whole lives, and so do people who live without any particular devotion for God. If we took the snapshot at a different time, it might show the godly people we know prospering and the worldly people we know suffering. But I think the perception nevertheless points to an important issue. We would expect, everything else being equal, that God would bless those who live in devotion to him, that God would protect them from misfortunes, and for that matter that they wouldn’t create so much suffering for themselves as those who live without regard to God. In other words, we would expect a positive correlation between godliness and prosperity, and a positive correlation between ungodliness and suffering. But we don’t see this in our world. I think that’s the real concern, and it is indeed borne out by experience. And there is nothing I desire on earth besides you. The psalmist realizes that what matters most, in this life and the next, is knowing God and loving God. In a mysterious way that we cannot understand, God works through all of the events and circumstances of our lives to help us know and love Him better. This includes allowing suffering at times. In those times, we need to trust God and cling to him all the more. It may not be until we enter the heavenly sanctuary of God that we are no longer troubled deeply by the problem of human suffering and the fact that it seems to affect godly people as well as ungodly ones. But when we do come into that sanctuary, we will understand not only the final destiny of the wicked, but the glorious destiny that God has been preparing us for all along, even through suffering. By today’s author: Ever wondered about descriptions in the gospel in terms of how things appeared, or what the dimensions are with buildings, or the layout of the surrounding territory? Read how a graphic novel helped Christopher Smith better understand physical locations and perspective in the Gospel of Mark. The seizing of Saint Stephen is a story that Luke tells with enough detail that one needs to read slowly through the passage, as to not miss an important facet of the story. The first detail that Luke provides is that Stephen was not just another ordinary member of the Christian community. He was known throughout the people. So, the Jewish leaders were not picking people indiscriminately to harass. They were looking to take out the play makers. Like dealing with the disciples, they assume that taking out the leaders of a movement will help dissolve it. This tactic thus far has not proven to be effective. Why they think it will work still, even after they’ve seen it fail, is difficult to know. Luke’s second area of detail is about the people who rose up to complain about Stephen. Luke refers to them as “members of the Synagogue of the Freedmen“. Who exactly was Luke referring to? Were these Roman slaves that were now free? Were they Jews who believed in hedonism? Were they prisoners set free? Luke gives a little help to answering this question in the next sentence; “Jews of Cyrene and Alexandria as well as the provinces of Cilicia and Asia“. These Freedmen were part of the North African and Western Asian Jewish diaspora. The people named by Luke are two different synagogues, as they are thousands of miles apart, yet they both contained Jewish Freedmen. The diasporic Freedmen existed in both synagogues, as they were the natural product of the diaspora. Philo speaks of these Jews as former slaved brought into Rome who lived near the Tiber River. These Jews were likely part of the Jewish expulsion from Rome that took place under Tiberius, in 19 CE. Tacitus describes them as being “tainted with superstition” which was a reference to their religion. They were expelled to Sardinia. The Island of Sardinia was west of Italy, nowhere near near Northern Africa or Western Asia. So were the Freedmen of this island the same as the Freedmen that rose up against Stephen? It’s quite possible that Luke is referring to 3 groups of people, or that the Freedmen from Sardinia migrated after being expelled to the island. Some of the Jews were also later expelled from Rome who were partly made up of Freedmen. Where they ended up in the diaspora is hard to know except that it appears that some ended up in Northern Africa and South West Asia (Turkey). But why would these Freedmen start a quarrel with Stephen? I think the answer is more obvious than it might first appear. They were already enslaved by Rome. They wanted no beef with the leaders that had set them free. The preaching of Jesus in any location near the Jewish Freedmen would have set off alarm bells, and aroused fear that another Roman crackdown was coming. So, they did what anyone would do in that situation; they took Stephen to the Sanhedrin for court. However, Stephen uses his platform (despite it being in captivity) to preach the gospel (yet again) to the men in the Sanhedrin council. A gospel they surely are tired of hearing about. This is our first time visiting the wealth of articles at the blog of Detroit Baptist Theological Seminary in Allen Park, Michigan. Today’s main text is linked in the 3rd paragraph and takes you to a parallel of the NIV and The Message for these twelve verses. Click the title below to read this at source. “I do not know this Man that you are talking about” (Peter in Mark 14:71). It’s easy for us to stand at a distance and throw stones at Peter for denying Christ, and to claim that we would do better than he. But have you ever squandered a clear opportunity to testify about Jesus? Truthfully, I can relate to Peter, because I too have confessed that Jesus is the Messiah, but at times, I am paralyzed by the fear of man. The Bible has a lot to say about our fear of man, giving numerous examples of people (both believers and unbelievers) who at times were driven by this fear: Adam, Abraham, Isaac, Lot, Jacob, Moses, Aaron, Samson, Saul, David, the Pharisees, Peter, Ananias and Sapphira, etc. Why is the fear of man such a strong motivation for us? Why are we driven by what other people think about us? Why are our choices motivated by the danger that might come from other people? Jesus offers three answers in Luke 12:1-12. Before we consider the text, a definition of the fear of man might be helpful. Fear of man can be described as a heightened awareness of self that comes because of a possible threat. When we fear man, we are most worried about what someone may do to us. In Luke 12:1-12, Jesus identifies the hypocrisy of the Pharisees and Scribes and exhorts believers to fear God most of all. Prior to His teaching, two important events set the context: 1) The Pharisees and Scribes attacked Jesus with their words, in an attempt to trap Him (cf. 11:53-54); 2) An ambitious crowd formed to hear Jesus speak (12:1). These things Isaiah said because he saw His glory, and he spoke of Him. Nevertheless many even of the rulers believed in Him, but because of the Pharisees they were not confessing Him, for fear that they would be put out of the synagogue; for they loved the approval of men rather than the approval of God. Their external piety covered the wickedness of their hearts (cf. Matt 23:27). The disciples would do well to avoid that same hypocrisy by being less concerned about what man could do to them, and more concerned about what God could do. Specifically, in verses 1-3, disciples of Jesus must be motivated by God’s final judgment, “There is nothing covered up that will not be revealed, and [nothing] hidden that will not be known” (v. 2). The religious leaders lived as if this life was all that there were to live for. We disciples must not fall into the same trap. God will expose the sin of hypocrites. Relatedly in verses 4-5, disciples of Jesus must recognize that there is a greater death than physical death. One of the reasons that we fail to testify about Jesus is because of what man can do to us. But Jesus wants us to consider these threats in their proper perspective. What is the worst that people can to do us when we testify about Jesus? They can kill our body. Anticipating that fear, Jesus says, “after that [they] have no more that they can do” (v. 4). In contrast, there is Someone whom we should fear more than man. There is a God who can destroy both our body and our soul in hell forever. Therefore, we should fear Him most of all, “Fear the One…yes, I tell you, fear Him!” (v. 5). Following Jesus demands that we have an eternal perspective. The second reason that we fear man more than God is because we forget God’s care of us (vv. 6-7). God does not forget His children; they are precious in His sight (cf. 1 Pet 3:4; Isa 43:1-4). Jesus wants us to know that no one cares for us more than God. In order to prove this, Jesus uses an argument of lesser to greater. Humans sell sparrows for next to nothing. And yet God knows and cares about objects that we virtually discard. In comparison to sparrows, we are His image-bearers and the objects of His redemption. If God’s eye is on the sparrow, we can be certain that He knows and cares for us (cf. v. 7). Our heightened fear of man often rises out of our failure to remember our identity as a child of God. Following Jesus demands that we remember our value before God. The third reason that we fear man more than God is because we fundamentally deny the work of the Spirit, either by mocking His work (vv. 8-10) or by ignoring His power to come to our aid (vv. 11-12). I would argue that these two promises are not meant for us directly. They were meant for Jesus’ immediate audience. However, we certainly can discern implications for how we should respond to the work of the Spirit. Those who turn away from Jesus and mock the Spirit of God evidence the reality of their rejection. The Jewish religious leaders of Jesus’ day had the very Son of God in their presence. They heard His teaching and saw His miracles, and yet they clearly denied His deity. In doing so, they blasphemed the Holy Spirit and abandoned every possibility of being forgiven by God. Jesus promised them that because of their clear rejection, they should not be surprised when the Son denies them before the Father. Like them, in the midst of persecution, we too are tempted to reject the work of the Spirit. The Holy Spirit of God will not be mocked. Jesus also promised that the Spirit would help the disciples by giving them special revelation in the midst of persecution (vv. 11-12). Therefore, the disciples should not despair in those times. While this promise was not directed at believers today, we do have the guarantee of the Spirit’s abiding presence within us (Eph 1:13-14). And we must not ignore His power at work. To reject the Son is to reject the Father. To mock the Spirit is to mock the Father. Following Jesus demands that we commit ourselves to Jesus and embrace the work of the Spirit. So how will we do the next time that we are given the opportunity to testify about Jesus? Will we crumble under the pressure of our improperly placed fears (“I do not know this Man”)? Or will we consider ourselves in light of who God is and fear Him most of all? He is our final Judge, our loving Companion, and our immanent Helper. It is important for the believer, the person “in Christ,” to understand the reality of what is transpiring in his or her life. Valley experiences require that time be committed to prayer and meditation. Truth must be separated from feelings and losses from gains. Certainly, disappointment, the thwarting of dreams, and even the loss of “friends” or financial security can weigh down a sensitive spirit, but these may not be losses from the Lord’s perspective; consequently, they should not be considered losses from the believer’s perspective. This is easy to say for someone not involved, but reflection will reveal that losses, in fact, may not have been losses at all. “Losses” bring a person up short. They greatly impact the progress of life and call for an alteration in some sense. However, the Lord is looking out for the good of those “in him.” Paul encouraged, “And we know that in all things God works for the good of those who love him, who have been called according to his purpose.” (Rom 8:28 NIV) It is easy to become distracted and to stray from the Lord’s will and it can hurt to become re-oriented, to have ungodly interests chipped away, and to be maintained on the narrow path. God tests hearts. He did it for the Israelites in the wilderness (Ex 12:25, 16:4, 20:20; Deut 8:2, 16, 13:3;) He tested Abraham (Gen 22:1), Job (Job 23:10), and Jeremiah (Jer 12:3). He even tested the heart of his Son (Mt 4:1; Mk 1:13; Lk 4:1) Those who claim the name of Christ will be tested also. (Job 7:18; 1 Chr 29:17; 1 Thess 2:4; Jas 1:12) God tests hearts and the faithful will be found walking obediently with him. 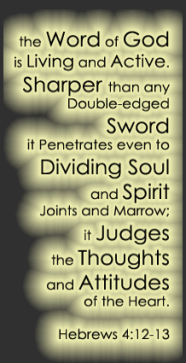 When you are counting your loses, it is important to consider them from an eternal perspective. Jesus said, “For whoever wants to save his life will lose it, but whoever loses his life for me will find it.” (Mt 16:25 NIV) Loss is often a very good thing. Consider the cliché: “God has a wonderful plan for your life.” This pronouncement is often given by those trying to evangelize. This cliché is easy to accept at first glance. It is encouraging to the one going through one of life’s struggles; it offers promise. Those who accept that there is a god would esteem him to know all things and to be all powerful. They also accept that he is all loving. Consequently, the message is given and taken as if the person being addressed would only confess faith, his or her life would be wonderful, richly blessed and filled with joy. Although these descriptors are true, they are not true according to the world’s understanding. What was “God’s wonderful plan” as experienced by the apostles? They all, but one, experienced horrible deaths. Think of God’s wonderful plan” as experienced by the many faithful today who are being martyred for their faith in Christ. What are people to think when they suffer through disease and poverty? How are they to interpret God’s “wonderful plan”? The plan is not “for us” directed; it is “for the praise of [God’s] glory.” Later in that book Paul wrote, “For we are God’s workmanship, created in Christ Jesus to do good works which God prepared in advance for us to do.” (Eph 2:10 NIV) This is also the declaration of a plan. The walk of truth and obedience brings glory to God and eternal rewards. This is his wonderful plan. It does not include ease, riches, and the pleasures of this world, and those who present clichés need to take care concerning the impressions that they leave others. They can mislead and be destructive to furthering the gospel. Weak faith based on misrepresented truths can give way to disillusionment and destruction and the spreading of a false gospel. Should the one being evangelized know the truth about what is before him or her? Absolutely! They must count the cost if they are to become strong and useful. Perseverance to the end is the only way that God’s plan can become wonderful. True believers know this and have committed themselves to victory over all sorts of trials through the presence and power of Christ. It is for the fulfilment of God’s plan in one’s life that his people have been called for the praise of his glory and it is in that fulfilment that they bring him glory. His plan is to conform the faithful to the likeness of his Son and to assist in the building of his kingdom. It should never be accepted that God has ordained a moment by moment strategy for the way a believer is to live, that his moments have been pre-destined and firmly established. The manner in which believers are led will depend upon how well they listen and how closely they follow. Paul wrote, “And he who searches our hearts knows the mind of the Spirit, because the Spirit intercedes for the saints in accordance with God’s will.” (Rom 8:27 NIV) It is God who searches our hearts and from his search determines a strategy to affect the Spirit’s purpose. Sometimes God will discipline, and at other times he will punish. “Do not lose heart when he rebukes you, because the Lord disciplines those he loves, and he punishes everyone he accepts as a son.” (Heb 12:5─6 NIV) God’s plan is wonderful because he has a personal interest in accomplishing those things in our lives that will give opportunity for transformation of heart and practice so that a person might become acceptable to him. (Rom 15:16) It is wonderful because it leads to eternal life, but most of the ‘wonderfulness’ will come in glory, not as we walk this earth. Convert to another religion, pay a heavy tax, or die? Which would you choose? This is a choice which many Christians have had to make as ISIS spread its evil. We do not face that kind of pressure in North America, but we do face subtle pressures that can gnaw away at our passion for Jesus. There is the pressure to choose materialism as a worldview. This is not materialism meaning a love of things, but a way of looking at the world that will not admit the supernatural. And if we will not be materialists, well then there is a pressure to affirm every religion as equally valid. Such pressures are subtle, but they are there. Pressure on Christians is nothing new. In fact in our second letter of Revelation chapter two we read of a Christian community under pressure. What pressures are the Christians in Smyrna under? In the Roman way of doing things, emperor worship was expected, as was fitting into a society which had many beliefs and practices that went against the Christian way of life. Stick to your, or rather Christ’s, principles, and you could find yourself estranged from the majority, shunned as odd and stupid, and your business boycotted. This may be behind the reference to the Christians in Smyrna being in poverty in verse 9. As an aside, whenever we Christians are the majority, we do well to remember the “Golden Rule” of Jesus in the area of economic opportunities. Due to some wise decisions from Rome, some religions could get a pass and be lawfully different, as happened at times for the Jews. But here is another side from which there is pressure against the Christians. The Roman officials often thought of Christians as being a sect of Judaism, and hence Christians could also enjoy some peace. However, if the Jews turned on the Christians, they could be out in the cold and would need to fend for themselves. That will not be easy when they consistently claim that “Jesus is Lord,” which means of course that Caesar is not. You can think of it this way; it is as if the Jews are travelling through Roman territory on a bus. They are allowed to do this safely so long as they remain on the bus and don’t disturb the locals. Some of the Jews on the bus realize that the driver of this bus is, and has been all along, Jesus, and so become Christ followers. Some don’t like that and throw the Christ followers off the bus. Actually they throw the Christ followers under the bus. This explains why at least some of the Jews in Smyrna are referred to in a not-so-nice way in verse 9: “I know the slander on the part of those who say that they are Jews and are not, but are a synagogue of Satan.” These particular Jews are actively working against the God they profess to love and serve. So with pressure from Jews and Romans alike, what are the Christians to do? What are we to do with the pressures we might face today? First, do not fear: “Do not fear what you are about to suffer” (verse 10). Fear has its tightest grip on us when we do not know what to expect. But we know what to expect. Third, look to Jesus. He is described as “the first and the last” (verse 8). What a contrast between He who has all eternity in His hands and those who have their hands on the Christians for only “ten days” (verse 10). Whether we are to take those as being ten literal days or as symbolic of a set time, it is a limited, and very short time in comparison to eternity. Looking to Jesus, we are also to know that He “was dead and came to life” (verse 8). If the Christians in Smyrna face death, they can know that Jesus faced it first. And remember how that turned out in the end! Fourth, look to what lasts into eternity. “Be faithful until death, and I will give you the crown of life” (verse 10). This is not the crown of a king or queen here, but the crown given in ancient times to victors in athletic games. Being killed for following Jesus is not the end of life, but the completion of a race. Celebrations come next. Fifth, be ready to die, not kill. While this is not stated explicitly, we should note that there is not a hint in this letter to Smyrna of “you will face incredible pressure, so get ready to fight.” In fact there is not a hint of this attitude anywhere in the New Testament. Being faithful to Jesus means dying, not killing. You might justify killing in the name of a nation; for example, killing for the common defence of people who could happen to be from all kinds of religious backgrounds. But violence in the name of Jesus, or for the sake of Christianity is not an option for the follower of Jesus. Where it has happened, there have been complexities around the forces of history and confusion around the separation of Church and State, or lack thereof. Jesus carried a cross and not a sword. He encourages the Christians in Smyrna to do likewise. Is there an increasing pressure on Christians in Canada to be less passionate about Jesus? It is not the first time Christians have faced pressure. May we not fear, but instead remain faithful, looking to Jesus, looking to what lasts into eternity, and resisting every urge toward violence. 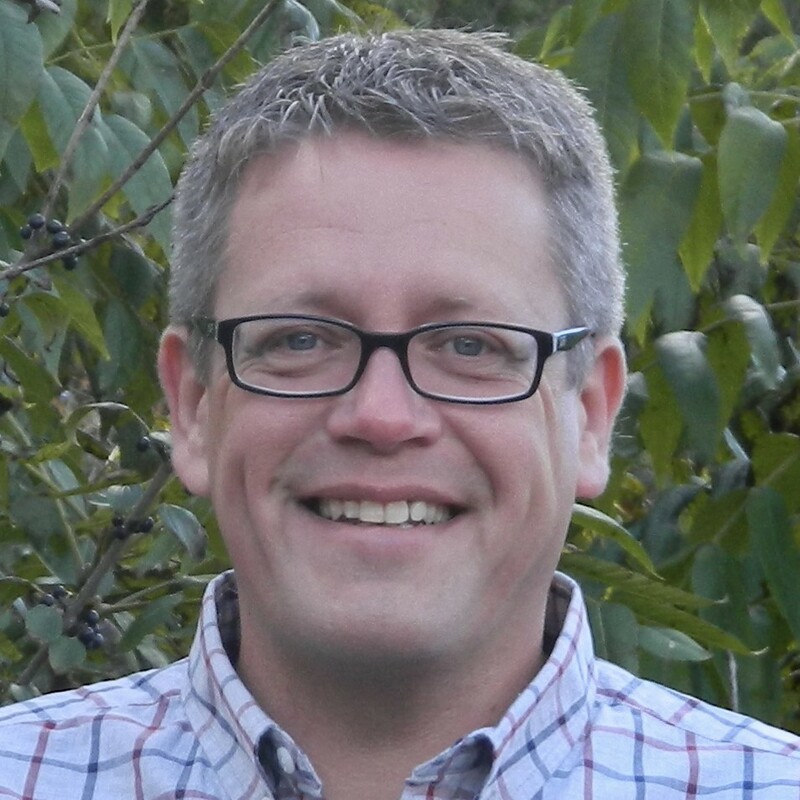 Weekly C201 contributor Clarke Dixon is a pastor in Ontario, Canada. Read today’s and other sermon summaries at his blog, or go directly to this article via this link. Heartlight is a website offering both daily devotionals and longer articles. This one from the articles page by Tom Norvell appeared in February. You’re encouraged to read this at source, and then visit the rest of the site. I suspect there are some reading these words might take exception to the title: “We Do Not Lose Heart”! You do not mean to lose heart. You do not want to lose heart. You know that you should not lose heart. But, that’s where you find yourself: losing heart… or at least you feel like you may be losing heart. You have dreams that seem to be fading. You think about opportunities that have passed by or never ever came to fruition. You see obstacles that are too big and too powerful to overcome. You are faced with problems that seem to have no solution. You feel the pressure, you are perplexed, you feel you are being attacked on every side and from the most surprising people, and are afraid that if you are knocked down one more time you may not be able to get back up. You feel weak, tired, and defeated. But we have this treasure in jars of clay to show that this all-surpassing power is from God and not from us. We are hard pressed on every side, but not crushed; perplexed, but not in despair; persecuted, but not abandoned; struck down, but not destroyed. We always carry around in our body the death of Jesus, so that the life of Jesus may also be revealed in our body. For we who are alive are always being given over to death for Jesus’ sake, so that his life may be revealed in our mortal body. So then, death is at work in us, but life is at work in you (2 Corinthians 4:7-12 NIV). Does that sound like you? At least does this part sound like you? Do those parts of Paul’s words sound familiar? And the other things — the positive things, the things of faith — not so much right now. Therefore we do not lose heart. Though outwardly we are wasting away, yet inwardly we are being renewed day by day. For our light and momentary troubles are achieving for us an eternal glory that far outweighs them all. So we fix our eyes not on what is seen, but on what is unseen. For what is seen is temporary, but what is unseen is eternal (2 Corinthians 4:16-18). Does it help to know you are not alone in your struggles? Do you find any comfort in hearing that others have experienced the same difficulties? Maybe? Maybe not? I know. I have been there. It is written: “I believed; therefore I have spoken.” With that same spirit of faith we also believe and therefore speak, because we know that the one who raised the Lord Jesus from the dead will also raise us with Jesus and present us with you in his presence. All this is for your benefit, so that the grace that is reaching more and more people may cause thanksgiving to overflow to the glory of God (2 Corinthians 4:13-15). …because we know that the one who raised the Lord Jesus from the dead will also raise us with Jesus and present us with you in his presence. That is the secret. That is the key. That is what can keep us from losing heart. Look up. Look at Jesus. Rely on the fact that He will raise us up. Our struggles show that the Gospel is at work in us. Our difficulties will be turned into His glory. There is a lot we cannot see if we stay focused only on what we can see. This is temporary stuff. We are about the eternal. I pray that through our faith in Jesus Christ who will raise us up we will not lose heart. This is Post # 1100 at Christianity 201 ! Exactly two months ago we introduced the writing of Darrell Creswell. Today I discovered that I had an earlier post by him — written in January — which never ran here, and I thought this would be a good day. 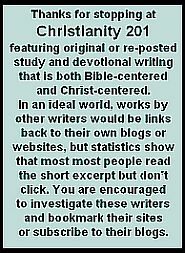 As always, you’re encouraged to read C201 posts at their original sources; for this one click here. The harvest field belongs to God, not to you and me. He is “the Lord of the harvest”, but we are the workers and co-laborers of the Lord. He has prepared the way for us to an abundant harvest and fruitful production in our lives. The harvest is plentiful but the workers are few. Ask the Lord of the harvest . . . to send out workers into his harvest field” Matthew.9:37-38. God has removed the chains of the curse of sin that had weighed upon the backs of mankind since Adam fell in the garden. The weight of sin that the world had to bear has been removed once and for all by the blood of the Lord Jesus Christ on Calvary. All of humanity was lost, burdened by the law, stuck in the sacrifice for the temporary forgiveness of sins. Jesus in His love, with His life gave us the ultimate gift to permanently removed sin’s stain as He bore the sins of the world as he was nailed to the cross. Before the advent of salvation we were compelled to obey God’s law, and forgiveness was given only by animal blood sacrifice for breaking that law. Thank God we are now free in Christ Jesus, saved by the sacrifice of our Lord on the cross that issued in a new age of forgiveness called Grace. 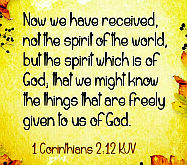 This Grace in Christ Jesus has given us the freedom from sin, and the freedom to have a personal relationship with Him. Since that dark yet luminous day on the hill of Golgotha over 2000 years ago, God has increasingly given us more in Christ. In just the last 100 years He has overwhelmed the world with technology and innovation. The current age in which we live is blessed beyond measure in our ability to serve God, share God and learn about God. God has done everything necessary to prepare us for an abundant and fruitful harvest. He provided salvation where we had no hope through His Son Jesus. He provided us truth, intercession and comfort by the Holy Spirit working in our lives and dwelling in us. In these last days we have access to technology and advancement that no other age of believers has ever had. We have His Word translated in every language in the world, and we have different translation versions of the Bible such as the KJV and the NIV. We have things that no other dispensation of believers could have even dreamed about ever had. We have Christian movies, Christian TV, Christian Radio, the lists of media goes on forever. We have podcasts, broadcast, seminars, webinars, etc. ; again the list goes on and on. There are churches basically on every corner to meet whatever type of need you might have. There are more teachers, preachers, apostles, and evangelists than ever before in history. His Word declares that He is going to pour out His Spirit upon all flesh in the last days. It is now possible for first time in history where a person can stand at a podium and speak in the name of God and at the same moment be heard instantaneously in every nation upon the earth, as it is broadcast through the millions upon millions of different avenues and venues around the world. God has prepared His body for this time of harvest. There is a lost and dying world that needs to know and accept Jesus Christ as Lord. This last day’s harvest is ever ripe before the Church. We have been given the tools to reap the Final Harvest which will prepare the way for the coming of our Lord. There has never been another time in the history of the church that a world harvest has been possible by a worldwide connected Body of Christ. God is the manager and overseer of the harvest. He prepared for it with Christ Jesus with a most excellent grace, instituting proper ordinances. God expects fruit from us that enjoy the privilege of salvation. We may have good purposes, but good purposes are not enough. There must be fruit from our lives as our thoughts and affections, words and actions, are in line and submissive to His Spirit. If we do not use that which God has provided for the harvest, we will bring forth bad fruit of a corrupt nature and a disobedient church. It is sad that we see within the Body of Christ, instead of humility, meekness, love, patience, and compassion for the world, we see sinful pride, self-importance, lust, and malice, and contempt for God. Instead of praying and praising, there are loose tongues and corrupt language seen in many believers. Let us bring forth fruit with patience, that in the end we may obtain everlasting life, and reap a harvest of souls. Let us gather in the lost for the kingdom of God, as we honor the sacrifice of the Lord Jesus Christ, that the harvest might be ripe as we utilize the tools he has given us in these last days. There will be a day when God will hold us accountable for all that He has done for us to prepare for the harvest. He wants us to utilize all that He has provided for us to reach a lost and dying world. As we labor for the Lord’s harvest there will be hard times and adversity. Hebrews 13:5-6 Since God assures us, “I’ll never let you down, never walk off and leave you or forsake you,” so I can boldly say, God is there, ready to help; I will not be afraid no matter what. 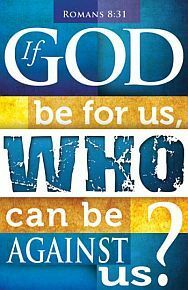 Who or what can get to me with God at my side? John 16:33, In this world you will have trials and tribulation. But take heart; I have overcome the world. Psalms 147:3, He heals the broken in heart, and binds up their wounds. Isaiah 41:10 Do not fear, for I am with you; do not anxiously look about you, for I am your God. I will strengthen you, surely I will help you, and surely I will uphold you with My righteous right hand. Psalm 37:23-24 If the Lord delights in a man’s way, he makes his steps firm; though he stumbles, he will not fall, for the Lord upholds him with his hand. 1 Peter 4:13 – But rejoice that you participate in the sufferings of Christ, so that you may be overjoyed when His glory is revealed. In Christ the world still has hope regardless of what they are facing. This world is perishing and we are the messengers of that hope. Those who belong to Christ shall never be destroyed. Step up and out to prepare His fields of harvest, we are meant for more. James MacDonald wrote the following for pastor and church leaders, but it really applies to anyone who dares to step out in a visible role in public ministry, which includes sharing a verbal witness with your co-worker or next-door neighbor. In typical James MacD. fashion, he titled this: You — Shut Your Mouth! Click the link to read on the Vertical Church blog. The further what you’re facing is down that list, the more this article is intended to guide you. Part of the puzzle in processing feedback requires evaluation of the person who brings it (let’s save that for another post). A.W. Tozer and many other men of God have had, throughout their ministries, a policy of ‘no attack, no defense’ when the opposition involved unjust or untrue statements from those outside of their own churches. Instead they chose silence, and I believe we should do the same. Every question does not need an answer. For those outside the information flow, the interrogative can be more appealing than the prerogative of love, as the former expands the ego while the latter deconstructs it. Knowing the whole story is a burden that leaders must bear in plurality, so the company or the congregation or the country does not have to carry the weight of full disclosure. In a culture where journalists dictate the information flow, we start to think getting the full scoop is the ultimate good. But seeing firsthand the failings of others without becoming disillusioned is what leaders are called to carry for the sake of all. To keep serving and loving and giving while knowing every detail of every disappointment with yourself and others is a deterrent to sanctification, not an accelerant. Parents, pastors, and all in authority learn that those they lead are better at asking questions than they are at living with the answers they often demand. If the questions are misplaced, badly motivated or beyond the petitioner’s need to know, the wisest thing to do is remain silent. If the answers requested require betrayal or gossip or casting pearls or dignifying someone’s disdain, it’s better to bite your tongue. When the answers don’t come in the right amount at the right time to those who demand explanation, they will sometimes become caustic. Your child will attack your withholding of explanation, your employee will question your loyalty, your friend at church will question your fidelity. Can you continue to keep your mouth shut when your heart wants so badly to set the record straight? Can you wait on God for vindication when you have the information that would silence the scoffers in a second? Can you remain quiet when the incensed strike you in anger for your silence? Can you bear the reproach rather than return fire to injure those whose words are wounding you? Jesus did. As you wait for God’s vindication you may begin to fear that you will be crushed by this burden. Is that so bad? Maybe crushing is just what the Lord has in mind for the pride that insulates our souls from greater grace. God’s sovereignty is so awesome and all-encompassing that He can capture what others meant for evil and use it for your good (Genesis 50:20). God can utilize the misplaced zeal of the ignorant and the well-intentioned crusade of the uninformed as the crushing that increases your Christlikeness. Often what we think is the worst season to endure will become the best season of our lives, if we handle it God’s way. The obvious difference is that Jesus was silent while 100% without guilt, and we never are. Jesus could give it over to the Father, knowing that His complete innocence would eventually come to light. However, only by self-deception can we view ourselves as innocent. It’s so tempting to run to the part someone else is getting wrong, or camp on the corner of a third party’s misperception—but is all the opposition without merit? Isn’t it better to find the truth that exists in almost all criticism and embrace your own responsibility? Don’t make the mistake of hiding behind the parts of the problem that flow from the faults of others. Get a mirror and focus, with the help of those you trust, upon the portion of the reviling that is legitimate. Covenant with God and those around you that collective regrets will turn out for better service to God and others in the future. A continued focus on learning what you can from your own mistakes will help suppress your desire to retaliate and keep you focused on the one person you can change, yourself. Can you sit quietly even when you see people you care about get picked off in the crossfire? Shouldn’t you stand up for the innocent who get drawn into the campaign to criticize by telling the ‘whole story’? Don’t allow yourself the rationalization that you are breaking your silence so the sheep don’t get scattered. Yes, any leader should be grieved deeply to see a formerly supportive participant become disgruntled or disillusioned. As hard as it may be, though, we must look to a purpose beyond helping those who know better than to listen to self-appointed arbiters of orthodoxy, who do little more than guess and gossip. Your choice to be silent when reviled is not about the 10 that are caustic or the 100 that are curious—it’s about the 1000 that are calling out for a space and time example of how to handle injustice. Scan the horizon of our world and see how seldom those that are falsely accused hold their tongues. Hear the hurting pleas of the men in loveless marriages or the women who keep serving in humility when affection and appreciation are not forthcoming. See the overlooked, underappreciated and often maligned all around us who truly want to handle injustice as God has commanded. Those who think silence means there isn’t a good answer are naïve. Maybe something much bigger is at stake. Maybe it’s not about you or your detractors at all—maybe it is about those who are watching. The most important partner you have in a season of injustice is time. The season will end, the false criticism will be eclipsed by your growth in grace, the loyalty of those with all the facts and the love of those that know you best. The problem with most of us is that we want the issue settled, handled, inventoried with all blame assigned and everything back in the place it belongs for our own peace of mind. Yet Scripture exhorts, “Therefore do not pronounce judgment before the time, before the Lord comes, who will bring to light the things now hidden in darkness and will disclose the purposes of the heart. Then each one will receive his commendation from God” (1 Corinthians 4:5). And while you await your appointment before God’s throne, be sure you are preparing for shock at the things you were wrong about, with a vigor at least equal to your anticipation of vindication. Sit back, listen to those closest, keep silent, and wait for the Lord. 7: Can I Ever Say Anything? I have written a post about when to answer a fool and when not to, but the key is to answer only once and then remain silent. Silence may enrage the foolish, but it will model something important for those you are called to lead. If a fuller defense becomes essential, as in Paul’s ministry at Corinth, let others do as much of that talking as possible—you are not Paul, none of us are apostles. Beyond that, your silence helps you turn down the volume on fixing others and focus in on what God is trying to teach you. When I have gotten this wrong I have deeply regretted it, and purposed afresh to keep my focus on what God is teaching me. I am in the midst of a month largely without email or twitter or much of the internet at all. I am following no one and keeping up with nothing, except my relationship with Jesus, my family, and the wonderful leaders of our church. It has been incredibly refreshing to my soul, and the silence has given me a much clearer picture of what God is growing in me. I just spent an hour scrolling through about 3,000 pages of giftware images: plaques, picture frames, ceramic crosses, candle holders, ornaments, etc. It might not sell well, but it would provide balance. I wonder, do some Christians follow, and live inside the bubble of a “gift shop” theology?